Syria became nothing but a pawn in the hands of the merchants of death, the states and various extremist groups who mercilessly used Syrians' lives to further their narrow political schemes. The fact that more than 300,000 Syrians have died, twice as many were injured, and more than 12 million became refugees or internally displaced did not seem to faze either Russia or Iran, who have provided unflinching support to the Assad regime. They continue to supply Assad's killing machine only to secure their interests, which in fact they could have done without the loss of a single Syrian life. This is how Khamenei expresses his style of mercy and compassion, and how Putin demonstrates his caring for the Syrian people. The body and soul of two generations of Syrians have been crushed, their hopes and dreams have been shattered, their dignity and pride was robbed, and millions were left languishing, hoping to wake up each morning from a nightmare only to realize that a nightmarish life is their lot. It is hard to fathom how many violent extremist groups converged on Syria, competing and killing one another, and how such madness could warp their minds and let insanity reign. What is in the DNA of these cruel irredeemable groups, especially Assad's army and ISIS, that drove them to commit such savagery with equanimity? We are living in a leaderless world, in an age where complacency has become a virtue, indifference a relief, lack of courage a cautious maneuver, and the absence of resolve a salvation. The whole international community could not muster the resources and moral commitment to end the slaughter of hundreds of thousands of men, women and children. Is it any wonder that such atrocities can happen time and again? Developing a plan of action and strategy to end the civil war early on could have prevented the carnage in Syria from taking place. When the community of nations fails the test of time and ineptitude becomes a guide for the future, why should any country subject its national security to the caprices of other states or the UN, where politics not humanity dictates the agenda of the day? Now that the US and Russia agreed to bring an end to the Syrian tragedy, they must ensure that any future solution carefully considers the psychological state in which the various groups and sects find themselves. First, a representative transitional government should be established which reflects Syria's demographic composition, is composed of professional bureaucrats and remains in power for at least five to seven years. Such a governing authority must focus on rebuilding infrastructure, schools, clinics and hospitals, maintain internal security, and systematically engage in a process of reconciliation to prevent revenge and retribution. Second, however despicable President Assad may be, he should be part of any solution perhaps for two to three years of the transitional period. 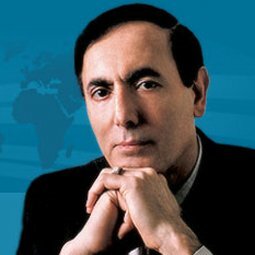 This will not only help facilitate a solution but allow Syria's major institutions, especially the military, internal security, intelligence, and the bureaucracy to stay in place to prevent the disintegration of the country as long as these entities remain subordinated to the central transitional government. Third, there is no place at this juncture to try to incorporate into any resolution the idea of establishing a democracy by writing a new constitution and instituting general elections before the expiration of the transitional government. The US and the EU must not simply assume that Western political values can be implanted or that such an idea could even succeed in the short or long term. The US' efforts to prematurely establish democracy in Libya, Egypt and Iraq have miserably failed and should not be repeated. Fourth, the solution must avoid any wishful thinking that by some miracle the country can simply be put back together as if reconciliation between the sects who have become sworn enemies will be a natural process. Each group needs the time to reflect and heal. The Sunnis, Alawites, Christians, and Kurds in particular must be given the space and latitude to regroup. The move by Syrian Kurds to establish a "federal democratic system" should be welcomed and emulated to avoid conflicts between each other which are bound to occur.